All Individuals who are Active Members of a WAO Society are Individual Members of the World Allergy Organization (WAO). For your National Allergy Society to become a WAO Member Society, please complete an application here. Disclaimer: Information on this page is provided by WAO Member Societies. To edit/add information for your Society, please contact info@worldallergy.org. Mission: To be a leading health professional organization in Kenya that promotes clinical care, research, training and dissemination of knowledge to healthcare practitioners and the public on Allergic diseases. To Cooperate with Regional and Global bodies in Allergy practice and related medical fields to grow the field of Allergology locally and internationally. The members of society, together with pharmaceutical companies, organize scientific practical conferences for different specialists covering issues in the fields of clinical immunology and allergy. Members organize asthma schools for patients suffering from bronchial asthma. They provide training in different regions of Armenia and have active participation in mass-media. -popularization of achievements in medical science in the field of immunology, allergology and adjacent branches of science among physicians, experts, medical public and the population. ESACI is committed to improving knowledge and practice of allergy, asthma and immunology through meetings and workshops aiming to advance the educational development of its members for the benefit of the patients care. In 1961 with the foundation of The Egyptian Medical Association, the Egyptian Society of Allergy and Clinical Immunology was founded as an affiliation of EMA. Since this date efforts have been made to expand knowledge among doctors by organizing seminars and meetings. ESACI has hosted important International meetings as The French Egyptian Congress of Allergy and clinical Immunology and the Pan Arab congress of Allergy. The outstanding activities and the great efforts of leaders, lead to the recognition of the specialty by the Egyptian Medical syndicate. Mission: ESPAI is a non-profit society dedicated to the advancement of pediatric allergy and immunology by promoting education, stimulating research, and encouraging exchange of knowledge and cooperation with other medical organizations. ESPAI works toward achievement of the WAO mission in education, research, and training through holding congresses and workshops, providing resources to health care workers and patients on its website, producing pocket guides and booklets, and through its free access ESPAI Journal. ESPAI started its activities in 2002 with 15 founding members and grew to include 134 members in 2016. It held 13 international congresses and 11 workshops to date. It launched its website http://www.espai-eg.org in 2002 and its open access journal (Egyptian Journal of Pediatric Allergy and Immunology: http://www.jespai.org) in 2003. ESPAI became member of the WAO in 2007 and of the FOCIS in 2011. The society was established as a sincere willingness to advance the knowledge and information related to the subspecialty of Allergy and clinical immunology in this fast growing world of science. Our main aim is to develop the specialty of allergy in our region and in our country, then involve actively in promoting our society through the WAO net and globally. We are involved in promoting all activities of WAO locally in our country. We also promote educational materials of WAO among our medical students, residents, and fellows of all programs. We follow the time line schedule for all awareness activities of WAO, and correspond to celebrating the dates locally, and regionally (ie, world allergy day, etc). We were honored to use the White book of Allergy that was published from WAO to talk to our decision makers, and health authority in order to consider allergic disease as one of the leading diseases worldwide, and take some action to help out in spreading awareness and educating about it. Mission: The Turkish National Society of Allergy and Clinical Immunology (TNSACI), founded in 1989, is a non-profit, educational and scientific society which mainly focuses on allergy and clinical immunology. The goal of the Society is to provide the most effective scientific methods for prevention, control and treatment of allergic diseases. TNSACI has 12 scientific working groups in different fields of allergic diseases and clinical immunology. The society with 295 members is the largest specialty organization in the field of allergy in Turkey. The TNSACI has organized many high quality educational activities in allergy since its foundation. The society also organizes courses and seminars as the part of the continuous postgraduate medical education and continuous professional development of its members. Scientific working groups of TNSACI establish guidelines for optimal patient care. Society funds research, especially the ones concerning regional epidemiology of allergic diseases. Mission: ACIS seeks to advance the knowledge and practice in the field of pediatric and adult allergy/clinical immunology. We collaborate in clinical care, research, education and training among our members, specialists, primary care partners, nurses and allied health professionals; locally and internationally. Our members continue to be involved in WAO's various special committees, on-line educational modules, conferences and guideline initiatives including the International Collaboration in Asthma, Allergy and Immunology (iCAALL). The Singapore Society of Immunology and Rheumatology (SSIR), formed in 1976, took on the task of promoting the education of doctors in Singapore on allergic disorders with the return of Dr Chng Hiok Hee from her training in USA. In January 1990, the society was renamed the Singapore Society of Immunology, Allergy and Rheumatology (SSIAR) to reflect this added role. With the increase in the number of allergists/immunologists in Singapore and a greater interest in allergy amongst related specialties such as dermatology and otorhinolaryngology, members of SSIAR agreed in 2004 that the time was ripe for the formation of a separate society for allergy/immunology. Therefore, the Allergy and Clinical Immunology Society Singapore (ACIS) was established in 2005, and the SSIAR was renamed the Singapore Society of Rheumatology (SSR) to reflect its focus on Rheumatology. 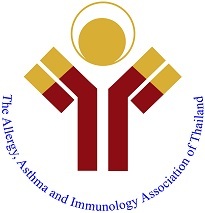 Mission: The Allergy, asthma and Immunology Association of Thailand (AAIAT) was established in 1984 with the purpose to improve allergy care through education, training and research; to support its membership in providing a high quality service for the treatment of people with allergic diseases and other disorders of the immune system; and to provide the networking of the members within the nation and also among international collaboration. Mission: Advance the science and practice of allergy and clinical immunology, by promoting the highest standard of medical practice, training, education and research, to improve the health and quality of life of people with allergic diseases, immunodeficiencies and other immune diseases. Mission: The Hong Kong Institute of Allery's mission is to promote allergy education, clinical services and research of excellence. This association aims to promote and develop knowledge about Allergy and Immunology in the widest sense. Collect and strengthen the relationship between allergy enthusiasts and immunology in Indonesia, as well as enthusiasts who are abroad. 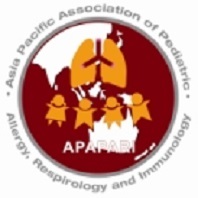 Defend the interests of the members in the context of development of Allergy and Immunology in Indonesia. Fostering unity and awareness to develop, promote and maintain knowledge of Allergy and Immunology to be practiced for the benefit of the nation's welfare in particular and humanity in general. Mission: To promote advances in the field of allergology and related academic disciplines. Mission: The advancement of the knowledge and practice of asthma, allergy and clinical immunology to promote the health of the people. Mission: To promote the highest possible standards of teaching, study and research among those engaged in the practice of Allergy, Immunology and related diseases, in the best traditions of medicine and medical ethics. MSAI has kept to its tradition of hosting an annual Allergy Congress and Exhibition, featuring international and local speakers; holding symposia, sessions for Family Physicians, co-joint symposiums with other societies, both local and around the region, public forums and poster and free paper presentations. GLORIA (Global Resource in Allergy) modules presentation have also been the highlight. As an established allergy society in the region, MSAI has been privileged to be the host for Emerging Societies meetings at some of these meetings. Mission: To abide by the moral and ethical standards in accordance with the Code of Ethics of the Philippine Medical Association and the Rules and Regulations promulgated by the Board of Directors of the Society. To promote holistic, compassionate, and competent care to all patients responding to changing priorities of the times through continuing medical education, initiation and recommendation - of public health programs geared towards awareness, prevention and management of allergic and immunologic diseases. To uphold excellent standards in training, teaching and research in allergy & immunology. To develop a referral network among local and international health care providers. To become respected leaders who will be in the forefront of service, training and research in the subspecialty. To establish camaraderie, fellowship and mutual respect among members of the society and with affiliated organizations. The Austrian Society of Allergology and Immunology represents Austrian scientists and practitioners interested in the physiology and pathophysiology of the immune response as well as the phenotypic expression, diagnosis and therapy of all diseases involving the immune system. The principal aims of ÖGAI are to foster the understanding of the functioning of the immune system in general as well as the consequences of its aberrations. Thus reducing the burden of immunologically-mediated diseases on the individual and also the society, and to advance the treatment and prevention of these disorders. Hence, ÖGAI promotes basic and applied research advances and their translation into the clinical practice. ÖGAI supports excellence in education and training in the fields of allergology and immunology and further provides and also encourages the spread of specific information on the vital importance of the immune system and its disorders, such as allergy, autoimmunity, immunodeficiencies, to the lay, legal and professional public. Click here to read more about OGAI and immunology in Austria - Past and Present. Mission: BelSACI's aim is to provide a meeting place for allergologists/clinical immunologists, whatever their primary organ specialty is, as well as to promote teaching, training and research in the field of Allergology and Clinical Immunology. All activities directly or indirectly related to these goals do belong to her task. BelSACI is open to and willing to support initiatives compatible with its own goals. Mission: To improve the management of allergies and related diseases of the immune system in the United Kingdom, through education, training and research. In 1930 the Asthma Research Club was formed by a group of distinguished clinicians, by 1948 the society had been renamed the British Association of Allergists; and in 1962 it changed its name yet again to the British Allergy Society. Under the careful guidance of such distinguished members as Dr Bill Frankland, Professor Jack Pepys and Sir Cyril Clarke, interest in allergy amongst both clinicians and scientists grew. In the 1970s there was an explosion of interest in the immunological mechanisms of allergic disease and a need was perceived for widening the Society's scope and Clinical Immunology was incorporated into the title. Thus the BSACI was born in 1973. The BSACI's main objective throughout its existence is to improve the management of allergies and related diseases of the immune system in the United Kingdom, though education, training and research. As allergy embraces many subspecialties in medicine, the BSACI decided to set up special interest groups with a remit to promote understanding of the contribution of Allergy to diseases within these disciplines and thus improve management. In addition regular regional meetings are arranged across the UK for primary and secondary care professionals to raise awareness in Allergy and initiate education focused on the community practice of this specialty. Aim: The aim of Bulgarian Society of Allergology is to be a legal partner for specialists in the field of allergy and clinical immunology. Our task in promoting better care for allergy patients was highlighted by the increasing the number, the diversity in sensitization patterns and the severity of allergic diseases. In 1990 ”Clinical Allergology" was recognized as a separate specialty which contributed to the better qualification of the allergy specialists in Bulgaria. 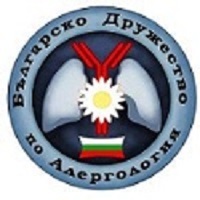 History: The Bulgarian Society of Allergology was founded back in the late 1973. Its aim was to be a legal partner for the practitioners. Our task in promoting better care for allergy patients was highlighted by the increasing number of allergy patients, their diversity in sensitization patterns, and the increasing severity of allergic diseases. Throughout the years the Bulgarian Society of Allergology was guided by Professor P. Kirchev, Professor G. Kosturkov, Professor J. Mileva, and Professor V. Dimitrov. Our current Society President is Professor Bogdan Petrunov. In 1990, Clinical Allergology was recognized as a separate medical specialty which contributed to the better qualification of the allergy specialists in Bulgaria. 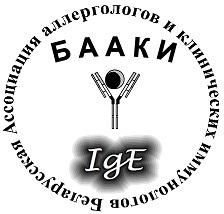 Since 1991 the Bulgarian Society of Allergology became a member of the European Academy of Allergy and Clinical Immunology (EAACI). The Bulgarian Society of Allergology is a member in Good Standing of the World Allergy Organization (WAO) since 2001. Members are not only allergology and immunology professionals (including nurses and technicians) but also other medical specialists interested in the field, as well as researchers in theoretical immunology. As a professional medical organisation, it is a member of the Czech Medical Association of J.E. Purkyně. Its activities cover the promoting of high-quality standard treatment of patients with allergic and immunopathological diseases, participation in organising education, defining diagnostic and treatment standards, and promoting high-quality research in the field for allergists and immunologists in the Czech Republic. It is headed by an Executive Board, with independent sub-committees for laboratory clinical immunology and clinical immunology nurses, and for laboratory technicians. The Society organises regular monthly scientific meetings and (with the Slovakian Society of Allergology and Clinical Immunology) annual congresses which are alternately in the Czech Republic and in Slovakia. Two prestigious awards are given every year. The Dr. Josef Liska Award is given every year for the best research publication and for the best monograph. The Professor Vladimir Zavazal Award is intended for persons who contributed substantially to the development of the field. From the founding of DSA the aims have been very similar to WAO's purpose. The Danish Society for Allergology comprises medical doctors, researchers in Allergology, nurses and people from the industry with an interest in Allergology. The Danish Health Board abolished the specialty as a distinct entity against the advice of our society in 2004. Since then, the Danish Society for Allergology has established a 2-year sub-specialization in Allergology, and the pediatricians in Denmark already have a 3-year sub-specialization, according to UEMS (the European Union of Medical Specialists). The society organizes a two-day annual meeting in August and also a thematic winter meeting. The society has a home page (in Danish). The society tries to promote the importance of clinical allergy and allergy research in the public opinion and in health politics and offers advice to the Danish Health Board in issues regarding allergy. The Danish Society for Allergy Research was founded in 1946. Other Nordic countries also had allergy societies and collaboration with them led to one of the first European scientific journals, Acta Allergologica (later Allergy). Given that in other European countries and in the US allergists were treating immunological diseases, the name of the society was changed in 1966 to the Danish Society for Allergology and Immunology. However, in Denmark immunological diseases were primarily treated by other specialties and, as a consequence, the name was changed again in 1985 to the Danish Society for Allergology. In the early years, it was a sister society of the Society for Immunology but, since 1992, it has been an independent society, and there is a separate Danish Society for Clinical Immunology. Working Purpose: The Finnish Society of Allergology and Immunology is the national society in Finland for allergists and immunologists. The society arranges education, co-operates with international societies and admits grants for scientific research. History: The Finnish Society of Allergology and Immunology was established on January 18, 1946, by a group of physicians with a special interest in Allergology. The first chairman of the society was Dr. Zaida Eriksson-Lihr, who later became one of the founders and chief physician of the Allergy Hospital in Helsinki. The Allergy Hospital was one of the first hospitals in the world specializing in Allergology. Working Purpose: DGAKI (German Society for Allergology and Clinical Immunology) is a non-profit-making registered society who has grown to be the leading platform for research in the field of allergies in Germany. The DGAKI organizes conferences and workshops, awards prizes for outstanding research and is editor to the Allergo Journal, a renowned research-oriented journal in the field of allergies. Its aim is to stimulate and support research about allergy-related topics and convey profound knowledge to practitioners and researchers alike for the benefit of patients. The society was founded in 1951 and now has members in more than 30 countries, mostly in Germany, Austria and Switzerland. Background: Τhe Hellenic Society of Allergy and Clinical Immunology (EEaKa), is the official scientific organization of allergology in Greece. Since 1983 allergology has been a main specialty in accordance with EU directives.The first allergology educational unit was established at Athen’s Laiko Hospital in 1983 and at the Aglaia Kyriakou Hospital in 1989. EEaKa has successfully organized 12 panhellenic conferences and many symposiums since 1992. In 1997, the EAACI Annual Congress was organized in cooperation with EEaKa on Rhodes. EEaKa started publishing Hellenic Allergology and Clinical Immunology, its official scientific magazine in the 1990s. EEaKa’s official website and an additional website aim to provide information to the public. Allergology is a specialty which is continually growing and developing in Greece. conducting and supporting various forms of training and educational activities, arranged for the representatives of the medical community and related areas, to extend the knowledge and practical skills in the field of allergology. 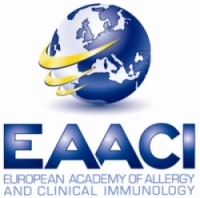 The Portuguese Society of Allergy and Clinical Immunology - SPAIC was founded on 10 July 1950. SPAIC activities made major contributions to the beginning of allergy and clinical immunology as a medical specialization in Portugal and to the start of a national specialty training program in the three major university hospitals, which is now a regular 5-year training program sharing the same core curriculum. Over the last two decades, SPAIC members have played an active role in supporting the development of the Portuguese National Asthma Program and in giving ongoing support to epidemiology research in asthma, rhinitis and its control. SPAIC organizes an Annual Congress held at the beginning of October and a thematic spring meeting. Since 1991, SPAIC has had its own regular scientific journal in Portuguese: Revista Portuguesa de Imunoalergologia (RPIA) and, from the end of 2013, has also joined an international scientific journal, the European Annals of Allergy and Clinical Immunology. Our clinical practices and standards are guided by evidence-based medicine principles. Besides, we are in the process of starting up this year the educational materials, proceedings and administrative registries for continuous recertification of Spanish allergists. Also, all of our scientific working committees are currently engaged in the re-edition of the Textbook of Allergology, which we believe is the reference book on allergy practice in Spanish language. Also, SEAIC participates in the National Commission of Allergy, a consulting committee of the Spanish Ministry of Health that establishes the standards and programs for training in allergy in our country. Regarding research, through its Foundation, SEAIC grants every year several research projects carried out by Spanish investigators in the field of allergic diseases. Finally, this year SEAIC is engaged in the 2014 edition of the nationwide epidemiological study Allergology, which was carried out for the first time in 1992 and thereafter in 2005, and provides important information on prevalence of allergic diseases and clinical procedures and how these change through time. 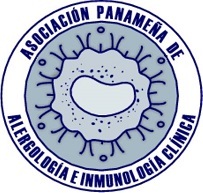 The Spanish Society of Allergy was founded in November of 1948, being one of the oldest scientific societies in Spain, and its current name, Spanish Society of Allergology and Clinical Immunology, was coined in 1975. Its first meeting took place in 1949 and since 1978 our meetings are celebrated yearly, National Congresses and International Symposia alternating every other year. Its first working committees started in 1959 and nowadays SEAIC counts on 15 working committees specialized in the diverse fields of allergy, including a specific committee on nursing in Allergy. From 1986 to 2005 the Spanish Journal of Allergology and Clinical Immunology was our official journal, which was then closed and changed to the Journal of Investigational Allergology and Clinical Immunology, an open-access English-written journal that has notably increased its impact factor in recent years. The Association was started in 1946 as a union of physicians and others with a special interest in allergic diseases. 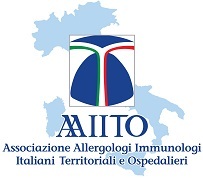 In 1976 Allergology specialty was established and since then the Association also has been formulating objectives for and promoting the specialist training within allergic diseases. The Association was involved in organizing ICACI XV-EAACI '94 meeting in Stockholm and EAACI 2007 meeting in Gothenburg. Mission: The Swiss Society for Allergology and Immunology (SSAI) brings together basic researchers, laboratory specialists and clinically active doctors and plays a pioneering role in achieving multidisciplinary biomedical progress. We establish new treatment methods and aim for scientific and medical excellence in our specialist fields. Our main tasks are to promote quality, education and collaboration by supporting our members and participating in national and international organisations. Mission: To promote continuing medical education and the dissemination of knowledge in the area of Allergy and Immunology, to strengthen the professional practice with excellence of the specialty of Allergy and Immunology in the public and private spheres and to disseminate to society the importance of the prevention and treatment of allergic diseases and immunodeficiencies. Working Purpose: For this period 2017-2019 we have proposed to perpetuate the vocation of constant dissemination and updating of medical knowledge in the area of allergology and clinical immunology, which has characterized this Society in recent decades. We invite our partners to get involved and actively participate in all the organized activities (monthly clinical meetings, congresses, workshops, among others). All these with the ultimate goal of optimizing the management standards of patients suffering from allergic and immunological diseases in our country, so they can receive the care they require to improve their health and quality of life. Mission: Our Society works to join all the professionals linked with the diagnosis and treatment of the allergic diseases and to encourage the interchange and their members investigation, to obtain the excellence in the care of the patients with allergic diseases. We are working together to improve the control and prevention of allergic diseases. One of its goals for our society are the academic exchanges with specialist centers and trainings. Therefore, the Society looks for support for courses and grants in countries with advanced technology institutions. We worked in Pediatrics Text book confection and we are continuous working in this way. There are 11 controlled clinical trials on IT, with randomized design, all registered at the Cuban public registry for clinical trials. 9 of them are already finished, while the first on in children is still in progress: a dose –response study by SL route. All of them have used mite vaccines and having asthma as a target. We also have 3 studies on adverse events in IT. We are also working on our own guideline for allergen IT management. Also related, in 2009 and 2012, the Cuban Society of Allergology has endorsed and co-organized, with the Cuban Immunology Society, two international meetings on allergen vaccines. When the Society was founded in 1948, few professionals were dedicated to the allergy field. With the specialty recognition in 1960 by the present Cuban Ministry of Public Health, the human resources training work started and the first specialists graduated in 1977. From that moment on, new professionals enter every year into the specialty, and the association changed its name into Cuban Society of Allergy, Asthma and Clinic Immunology in 2008. Currently, its goal is to incorporate all the specialty professionals, 260 Allergologists existing to date. It also schedules various training courses and events every year. Working Purpose: To develop and help the distribution of the relevant information about allergy and immunology diseases to the medical professionals and the people through conferences, publications and other information means. We want to estipulate communication and investigation over this diseases emphasizing over basic investigation, epidemiologic studies, and general training. We want to inform and motivate authorities, associations and parents to take preventive measures to avoid social impact that allergy and immunological diseases could cause in society. Mission: COMPEDIA is a group the Mexican pediatric allergists, experts in allergy issues that promote continuous medical education in allergy and pediatric immunology, with practical application of scientific medical evidence, through courses, congresses, symposiums. Disseminate updated and truthful information to health professionals and to parents and patients or the general public. Encourage research that contributes to solving pediatric allergy problems that represent a public health problem. Mission / Working Purpose: To promote, delve, and spread, in an organized manner, the study, diagnosis, and treatment of all allergic and immune diseases, irrespective of the organ involved. Also, to promote academic integration, communication, and good relationship between allergists-clinical immunologists, and also other specialties. We promote and develop academic activities (congress, workshops, symposia, lectures) to fulfill some of our mission. Mission: To make continuing education on Allergy/Immunology and team with other specialty societies to make progresses in the health management of allergic patients in Uruguay. Also working on the practice of the allergy in the social security systems. Promote good relations and cultural and scientific exchange between its members and other related national and foreign societies and institutions. Encourage the development of the specialty in the country, promoting the training of qualified professionals, doctors and paramedics in this discipline. To promote and support the creation of units and services of a specialty of the specialty, in the different Hospital Centers and/or Health Dispensing Organizations in the country. Raise awareness through the information to the Venezuelan population about allergic and immunological diseases. Mission: The American Academy of Allergy, Asthma & Immunology is dedicated to the advancement of the knowledge and practice of allergy, asthma and immunology for optimal patient care. 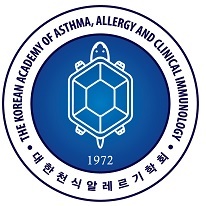 The evolution of the American Academy of Allergy, Asthma & Immunology (AAAAI) dates back to the early 1920s with the founding of two professional organizations: the Society for the Study of Asthma and Allied Conditions (on the East Coast) and the American Association for the Study of Allergy (on the West Coast). In 1943, these two entities joined forces to become one stronger, integrated professional society called the American Academy of Allergy. Although its name has changed, the Academy’s mission has remained the same: the advancement of the knowledge of allergy, asthma and immunology for optimal patient care. Publishing Cutting-Edge Research The Journal of Allergy and Clinical Immunology, (JACI) the official publication of the AAAAI, took root in 1929 with the first edition of The Journal of Allergy. Eight decades later, this journal is the most cited journal in the allergy / immunology specialty. 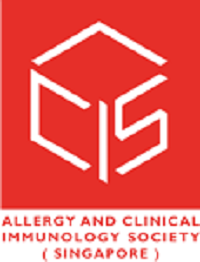 The Journal of Allergy and Clinical Immunology: In Practice (launched in January 2013) covers the spectrum of diseases in the allergy / immunology specialty, with an emphasis on practical clinical research and the latest recommendations for diagnosis and treatment. Funding Research and Training The AAAAI has long recognized the need for development of academic leaders to attract and train future allergist / immunologists. In 1948, the Academy offered its first funding for four fellows-in-training with an annual stipend of $3,000 each. To date, the AAAAI has funded awards totaling more than $4 million, much of this through the Allergy, Asthma & Immunology Education and Research Organization, Inc.
Presenting the Latest Advances The Academy’s first Annual Meeting in 1944 was a two day event with four sessions and 23 presentations. Now more than 7,000 delegates gather annually from around the globe for hundreds of sessions presented throughout five days of learning and networking. Meeting High Standards Setting requirements and standardizations for training and practice, as well as certification in allergy and clinical immunology dates back to the 1930s. Today, the American Board of Allergy and Immunology (ABAI) establishes qualifications and examines physicians to become recognized specialists in allergy and immunology. Recording History The AAAAI is proud to host the largest allergic disease archive in the world dating back to 1923. Mission: The American College of Allergy, Asthma and Immunology promotes excellence in the practice of the subspecialty of allergy and immunology. Mission: The Canadian Society of Allergy & Clinical Immunology advances allergy, asthma, and immunology knowledge to optimize patient care across Canada.